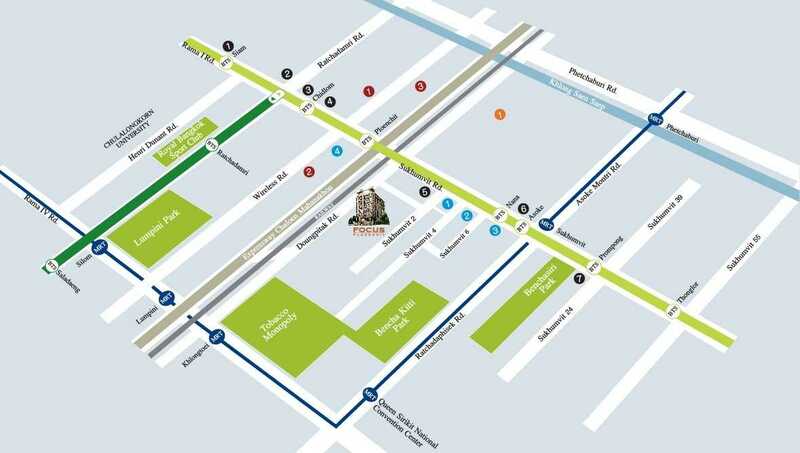 Focus Ploenchit is a condominium project located at Sukhumvit Soi 2, Sukhumvit Road, the center of Bangkok CBD. Focus Ploenchit is surrounded by famous shopping area such as Siam Paragon, Central World, Gaysorn Plaza, Central Embassy, and Terminal 21. In addition, Sukhumvit MRT, Queen Sirikit National Convention Center, International Schools, Bumrungrad Hospital, and many luxury hotels such as Grand Hyatt Erawan, Radisson, Okura, JW Marriott, Landmark, Westin, Sheraton, etc are also in the vicinity. 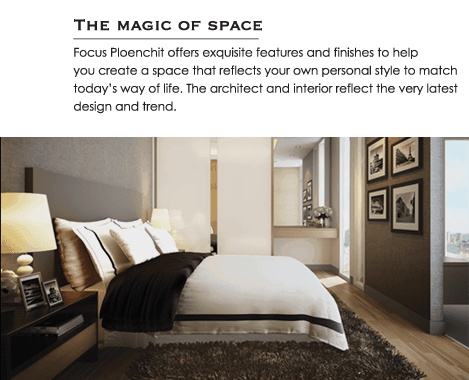 Focus Ploenchit comprises of a single building, having 8 floors and includes 132 fully furnished units of 1,2 bedrooms and penthouse The construction of Focus Ploenchit is expected to complete in June 2015. Focus Engineering and Construction Public Company Limited was established on 30 March 1989. Business Development has been preceded for the satisfaction of our customers. This company originated from a small company with the business of original consumer construction. Then it was developed to be the construction contractor company that provides all purpose services to the customers of various kinds of business. The company was changed to be the public company on 4 May 2002 and was registered at Stock Exchange of Thailand with the registration capital of 125 million baht. The first stock purchasing was proceeded on 5 October 2004. More registration capital of 400 million baht was added on 19 November 2008 with the stock named “Focus”. 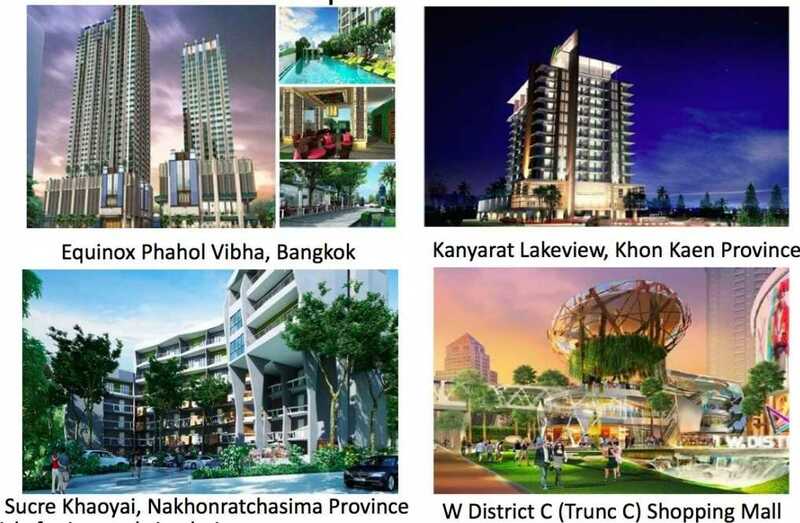 Well managed by Bangkok’s Leading Real Estate Management with 14% GRR for 2 years! Bamrungrad Hospitality Residence is the nearest hospital, which is located 820 m from the condominium. It will take about 4 minutes by car to go there.